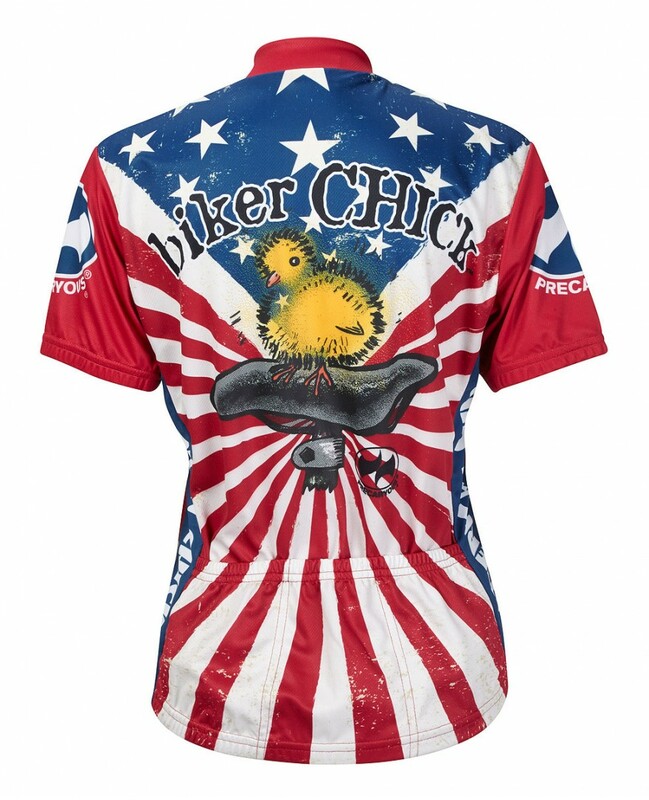 The American Chick Womens jersey. Brought to you by the folks that produced the hot selling Biker Chick jerseys. 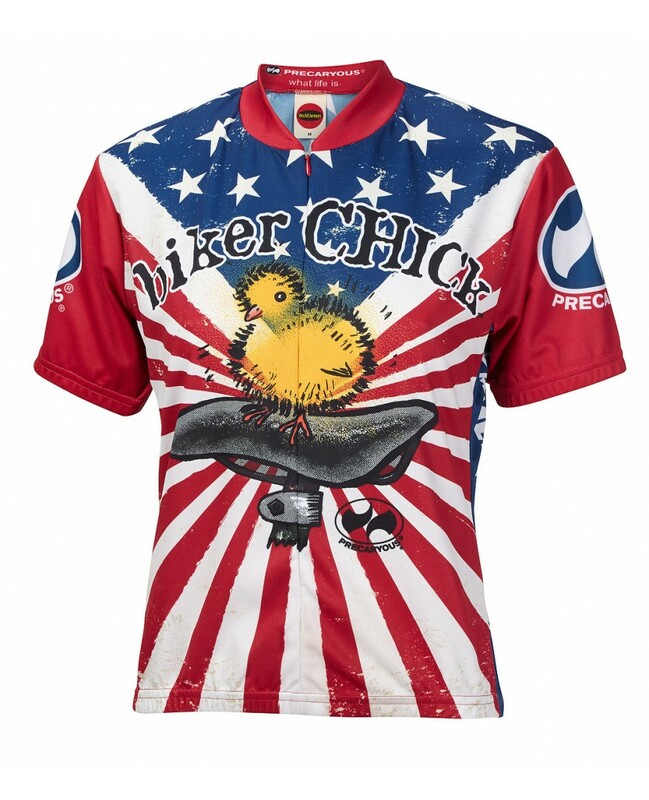 This jersey takes the classic biker chick design and mixes it up a little. Bringing bright colors that are sure to get you noticed! This Womens cycling jersey is made out of DrySport Polyester fabric for full breathability. 14" hidden zipper. Elastic waist and cuffs. Three rear pockets for storage. Womens Specific Fit.